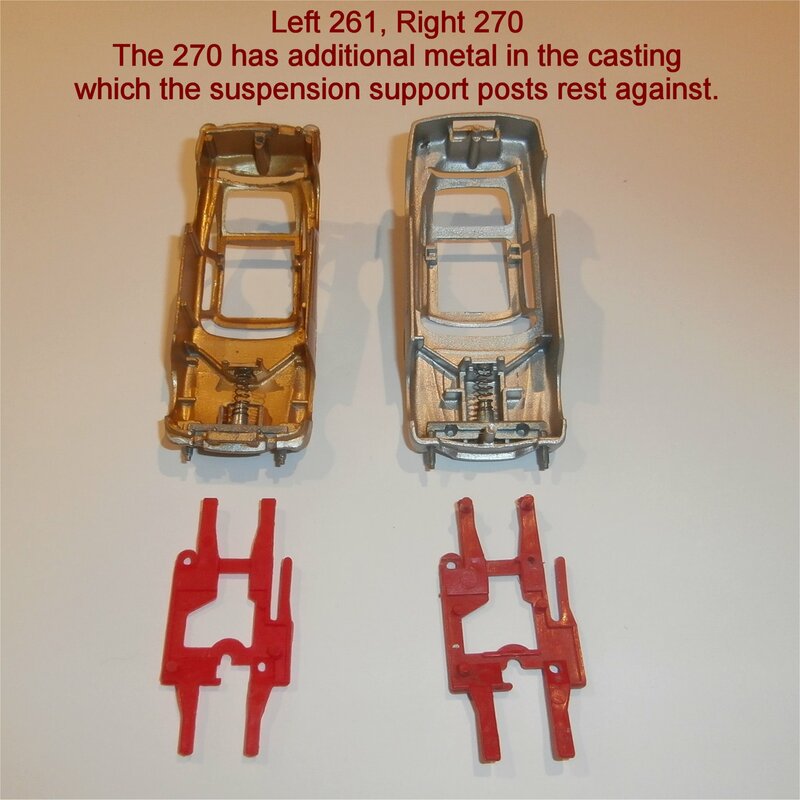 There are two versions of the Corgi Toys James Bond Aston Martin Suspension Units 261 270 which fit the early Gold 261 and later Silver 270 coloured models. The 271 Aston Martin is different as a larger approximately 1:36 scale model while the 261 & 270 are closer to 1:43 although none are exactly to scale. 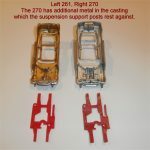 The 261 & 270 share many similarities and some replacment parts,like the driver, ejector seat and retainer. 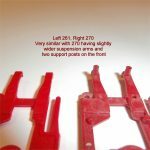 Other parts like the roof hatch, rear shield, and features that were added to the later issue 270 are different. In particular the window unit is completely different between the two models due to casting differences. 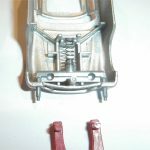 The suspension units for the models differ slightly and while they could be interchangeable, the 270 suspension was made slightly stronger with wider ‘arms’ for the axle supports and the addition of two small posts that rest against an additional metal frame inside the upper casting. Another minor change was the post in the front right-hand side of the base-plate was made longer and flared as a rivet retainer in the 270 while the 261 did not pass through the plastic suspension and was just a locating pin. 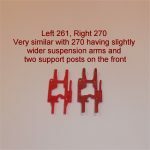 In the images you can see an extra hole on the right side arm of the 270 suspension unit. Corgi Toys 261 Gold James Bond Aston Martin has machine guns that will spring out from the front of the car. The 270 Silver Aston Martin version had the bumper over-riders also extending out with the machine guns. As a part of this change an extra cast box section was added to the inside front of the casting. 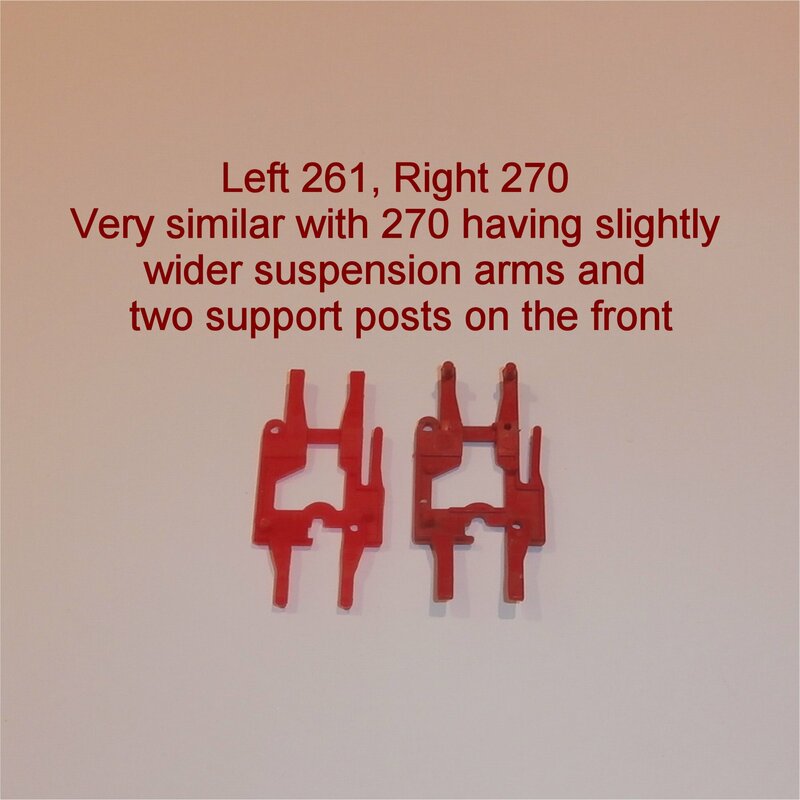 The additional suspension support posts rest against this metal frame providing extra suspension support. 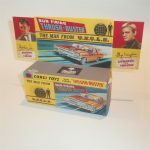 Parts for restoring these 1960 and 1970 issue Corgi Toys James Bond Aston Martin models are all available from RecoverToy. 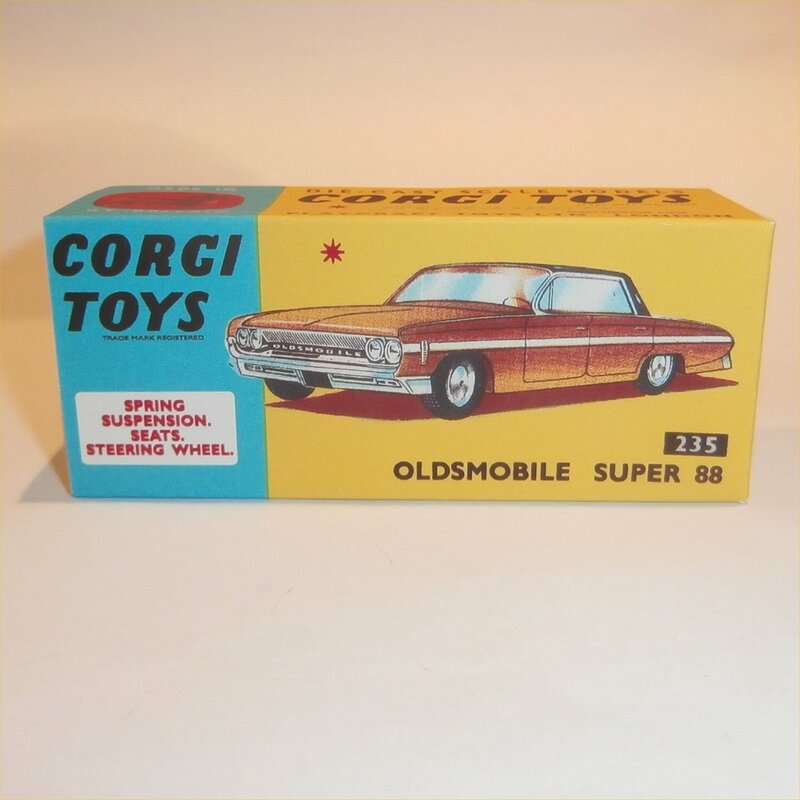 A new addition to our reproductions is a Corgi Toys 235 Oldsmobile Super 88 Sedan Box. 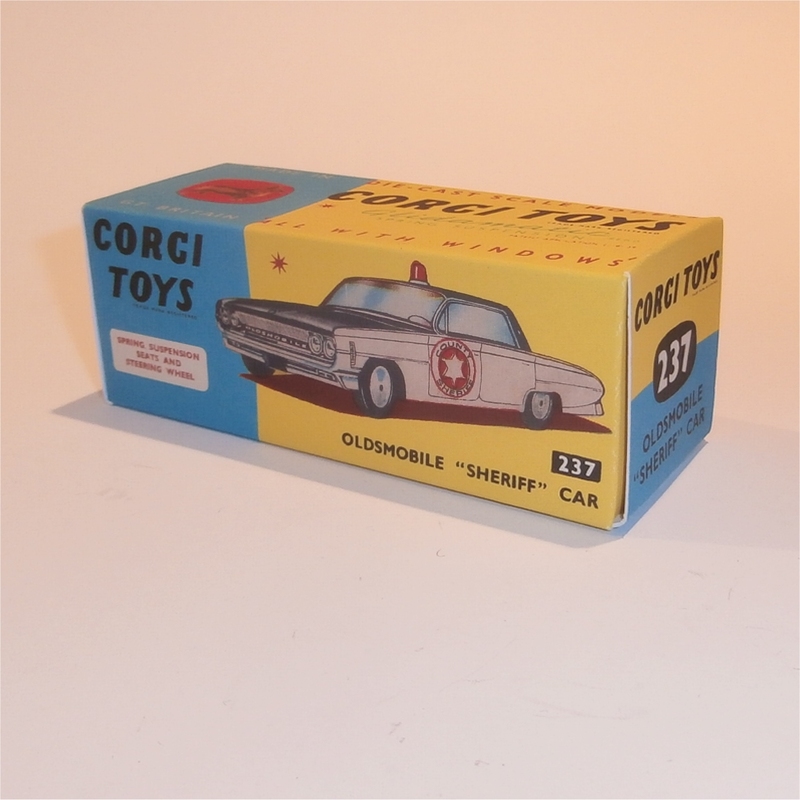 This model casting was used for both a standard sedan and the Corgi Toys 237 “Sheriff” version with roof light. 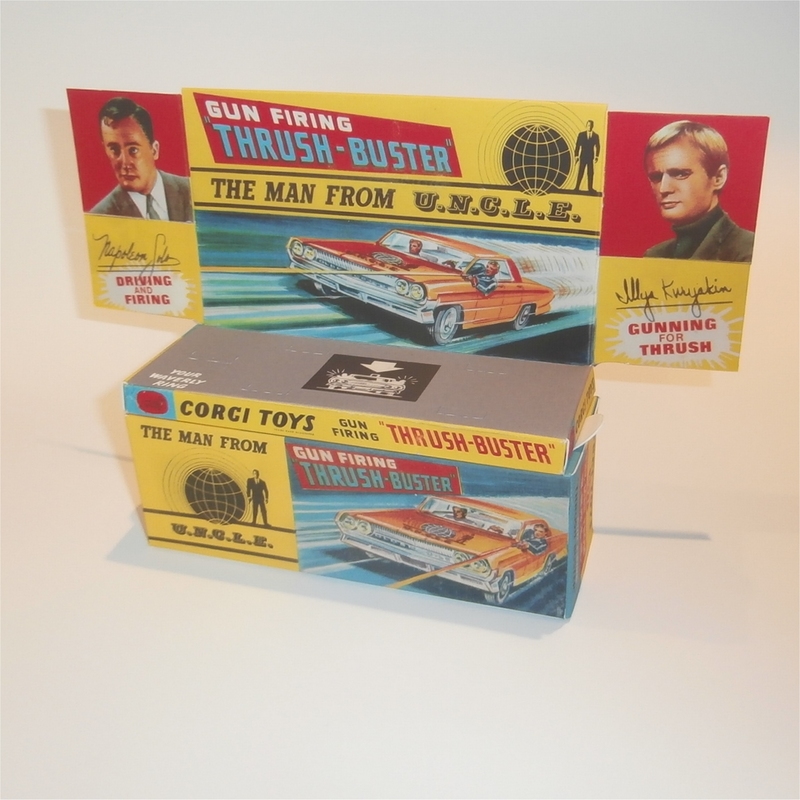 Of course the Oldsmobile was also used as the basis for the Corgi Toys 497 Man from UNCLE “Thrushbuster” vehicle. The Oldsmobile Super 88 Sedan was issued in either a pale blue or a metallic blue, both with white side stripes. The Sheriff car was only black with white side panels, while the Man from UNCLE version was generally in a dark metallic blue or the rare cream colour. Our reproduction boxes are available for all of these models. We were recently asked for a Matchbox Mercury Commuter 73 Repro Box and in the process of doing so we confirmed three variations of the box for this model. This is one of the true transitional models that appeared with both the early regular wheels and the later Superfast wheels. At the time of the first issue Regular Wheels model the boxes were done in the F style, circa 1967. As the first Supefrfast models were being rushed to market the box design was quickly changed to feature Superfast on the off-sides and as a logo on the front of what was basically the regular wheel F style box. 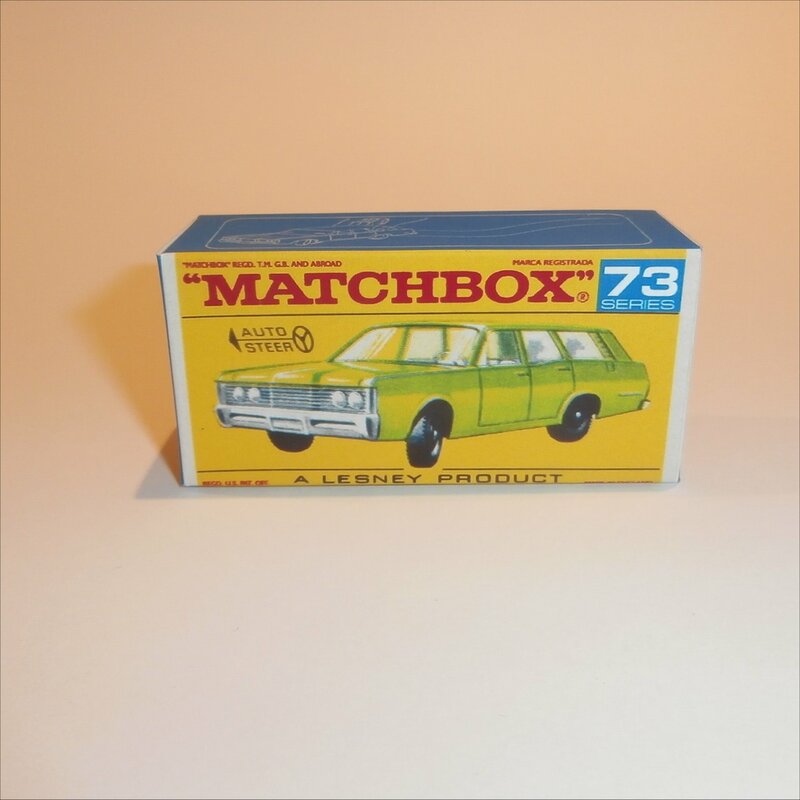 In the case of the Mercury Commuter Station Wagon the same picture of the model was simply modified to have the mag look Superfast wheels for a second box variation which we designate as F-SF2 style. Subsequently when the first new design for Superfast models, the G style box series, was issued a third style for this model was released. 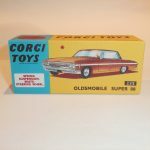 We have added a Toy Events Calendar for all toy related swap meets, fairs, club meetings, or other events where old toys might be on show or for sale or swap. We will add any events that RecoverToy will attend, hopefully well in advance of the date! If you have an event or regular meeting that you would like to make known to the toy collecting community please send the details via our Contact page. 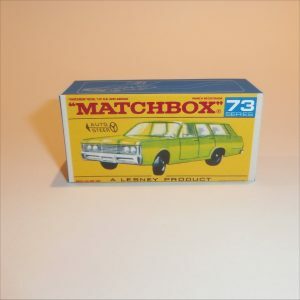 We have added to our range of reproduction Matchbox Lesney boxes over recent weeks. You can find a number of the later issue Superfast K style boxes have been listed. RecoverToy has a large range of reproduction boxes and hundreds more that we can make. If you cannot find the box you want please send a request from our Contact page. We are currently experiencing Firefox web browser reporting an error with RecoverToy SSL certificate. The RecoverToy SSL Certificate is correct and can be trusted. However, Firefox is not agreeing with the SSL Authority. Please use Internet Explorer, Safari, Opera, or the new Microsoft Edge browser instead of Firefox. We have logged queries with various support agencies to try and rectify the issue. Update: This issue seems to have rectified itself. Not sure what caused it, but it is no longer happening. Some of this weekend has been spent preparing for the Adelaide Mega Swap Meet at the Adelaide Showgrounds on Saturday 3rd and Sunday 4th June 2016. 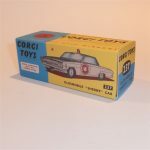 RecoverToy will be there with all our reproduction tyres and lots of Dinky, Corgi and Matchbox toys for sale. Come along and bring your old models to get new tyres fitted. 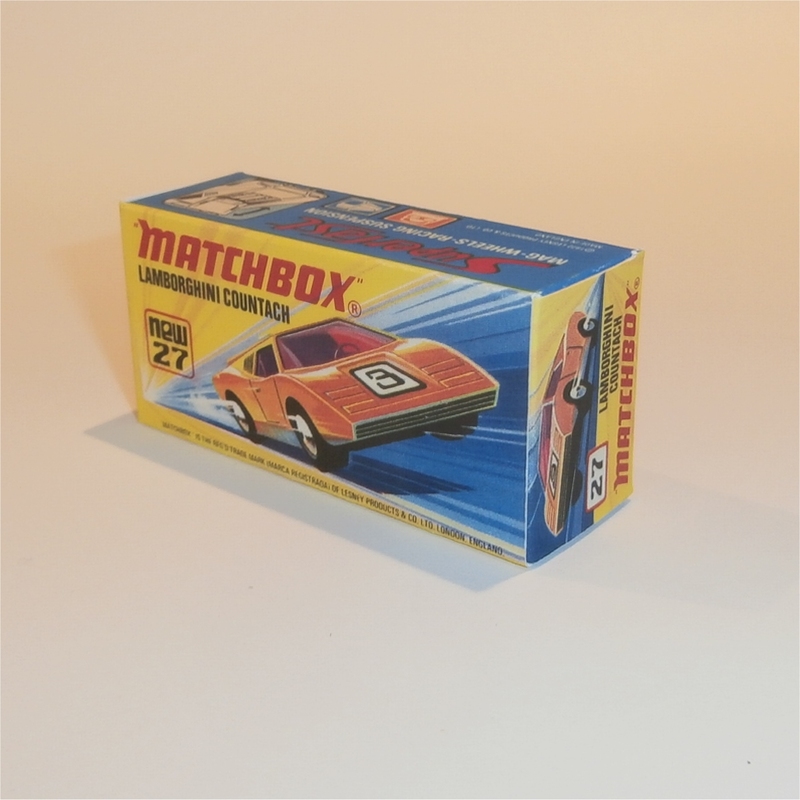 A number of new Matchbox reproduction boxes have been added to the store in recent weeks. See all our reproduction boxes in our store at RecoverToy. We are performing some maintenance on the RecoverToy servers and the website and store may be off-line for some short periods this weekend starting from Friday 12th May 1500 Australian Eastern Time (3pm +10 GMT). Updated Saturday 14th May: The server migration has been completed. There should be no further interruptions after 1630 AEST (4:30pm GMT +1000) today. RecoverToy will be at Adelaide’s Mega Toy Fair in June 2016. The toy fair is open on Saturday 4th and Sunday 5th of June. Opening time is 10:00. Bring all your old diecast models that need tyres and we will fit new tyres to make that model look great. Tyres for Matchbox Toys, Dinky Toys, Corgi Toys, Tri-ang Minic, Tri-ang Spot-On, Budgie Toys, Britains and many more. We will have our full range of tyres and tracks available. 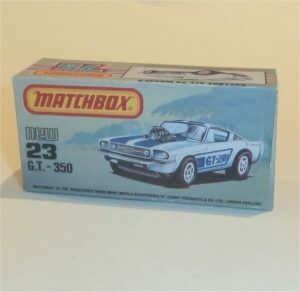 We will be bringing some of the more common parts for Matchbox, Dinky and Corgi, but space constraints will not allow us to move everything from our store to the fair. If you have a specific part or reproduction box that you would like to get from us, please book an order now. 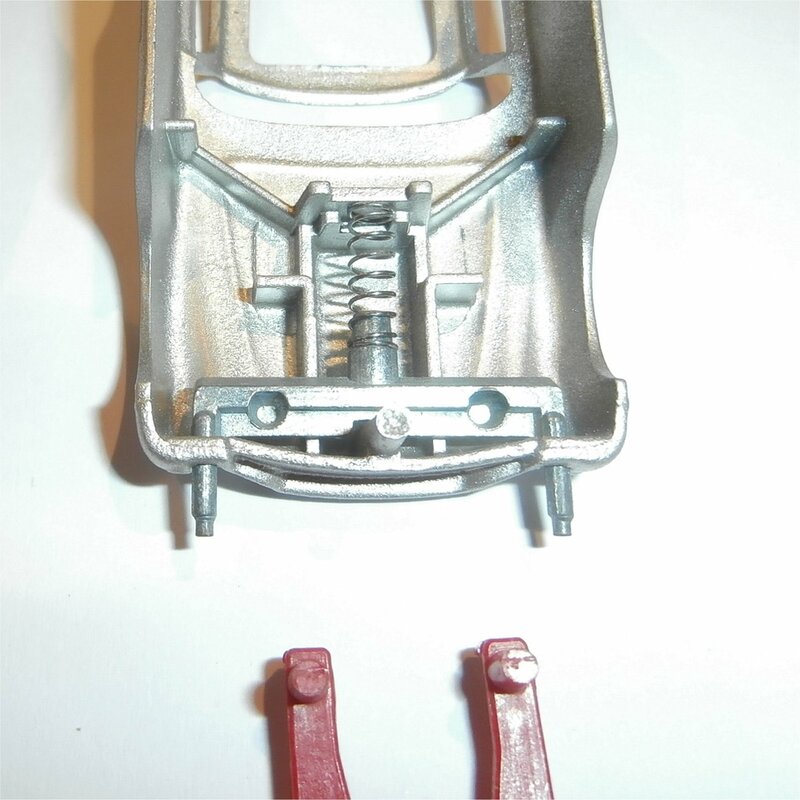 Our range also includes Hotwheels Redlines replacement wheels for bearing and cap style axles for models issued from 1967 until 1973.